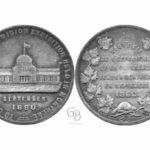 Geoffrey Bell Auctions is presenting their auction in conjunction with the Paris Coin & Collectibles show with live bidding on Saturday February 2nd, 2019. 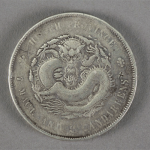 Just over 500 lots are up on the auction block featuring coins, banknotes, medals, tokens and more. 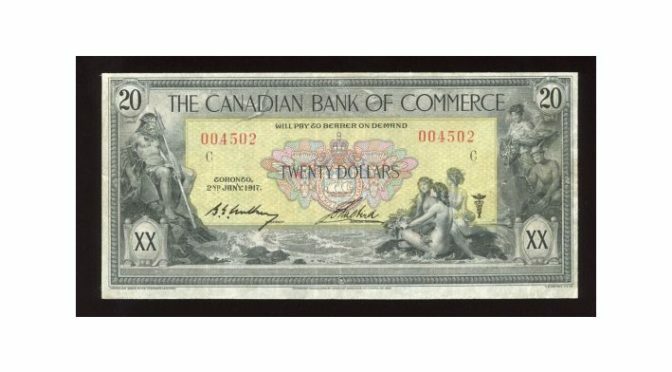 Plenty of great buys are up for grabs from one of Canada’s premier auction houses. 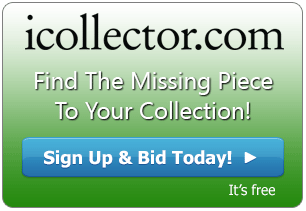 Bidding is available through iCollector.com with absentee bidding right up until each lot faces the auction block and all items have photos in the online catalog for inspection. 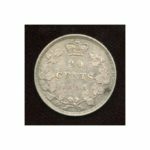 Lot 24 presents a 1904H Newfoundland Five Cent piece estimated in value between $1500 and $2000. It is graded by PCGS at SP65 and opens for bidding at only $750. 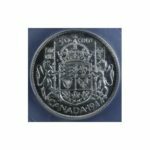 The auction catalog has over two dozen coins from Newfoundland and offers up a great opportunity to fill in some spots in a collection. Lot 500 – Ten Dollar Note, Jan 2nd, 1901 -CH 75-14-20. Pressed VF. Beautiful colours with only 7 on the CPMS registry. S/N: 237621/D. Lot 501 – Five Dollar Note, Jan 2nd, 1917 – CH 75-16-02-02. G/VG. Green & Red Seal. 28 recorded on the registry. S/N: 377136/C. Lot 502 – Five Dollar Note, Jan 2nd, 1917 – CH 75-16-04-06b. Fresh AU. S/N: B383768/D. Lot 503 – Ten Dollar Note, Jan 2nd, 1917 – CH 75-16-04-12a. Pressed VF-VF+. S/N: A457457/D. Absentee bidding is currently open in the online catalog. The session opens on Saturday February 2nd at 5PM Eastern Time. Geoffrey Bell Auctions and iCollector.com are excited to bring this auction to a worldwide audience, and will answer any questions from bidders about the pieces up for auction or how to get involved.